We are a great team. We each have a unique strength and experience in the Graphic Arts industry that overlaps the others. This overlapping of experience brings a wide base of skill sets that we put to work for every one of our customers. 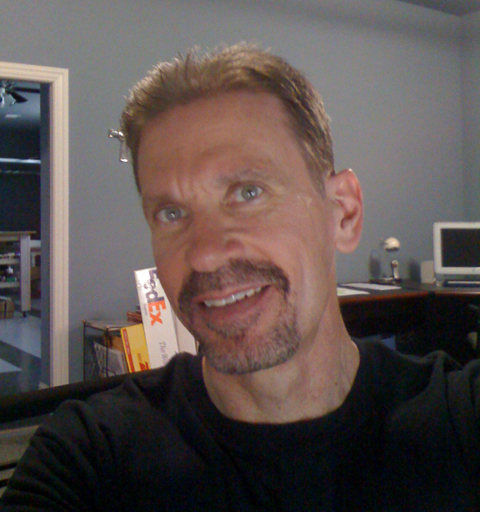 Mark Smith has more than 30 years of experience in the fields of color separation, imaging, scanning, color control and profiling. He is the anchor for color quality control for all of your digital printing projects. Lisa Smith has over 18 years of experience in multiple departments. Customer Service. Her attention to detail and perseverance for getting all of the necessary information to produce your work is her expertise. Lisa is also your resource for pricing and media availability. Finishing and Trimming. 60” laminates, reverse backers, adhesive backers, standup displays, trimming and shipping to customer locations around the world. We are hands on production craftsmen who are always on the edge of staying up to date with the latest print imaging systems and the medias that they image to.